Grow your people, grow your clients, at scale. How do you create a vision that grows your people? We can create an inspiring purpose-driven strategy to drive your people and business forward. We bring experience from the world's best places to work and cutting-edge thinking from Silicon Valley. How do you design the right experience for people to support development? We're well versed in the platform market. We'll share our existing research and insights to find the solution that’s right for you. We also partner with leading software developers to build bespoke solutions. How do you make online courses that change behaviour at scale? We can super charge your in-person content with inspiring online courses that scale up and support continued learning. 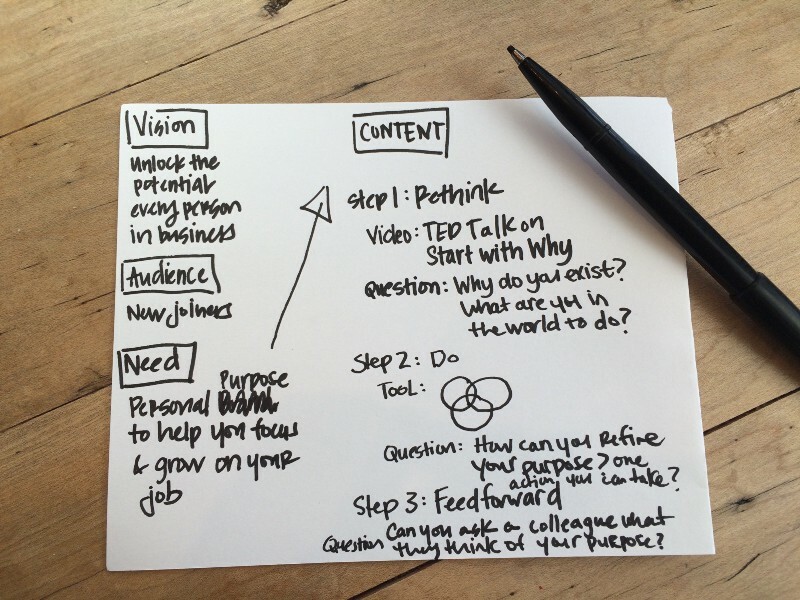 Read this post on how we use content to make change happen at scale. How do you inspire every individual to deeply engage with your programmes? We have an interdisciplinary background that is rooted in learning, brand and marketing. We can help create a strategy to attract and deeply engage your people throughout your programmes. Qlue is not a conventional consultancy. We're a community that's all about growing people at scale. We're for creative business leaders who want to think outside of the box. We solve the knottiest people, culture and learning challenges. "Melissa is an ambitious positive force of energy. Her deep passion for learning is really infectious. In her time at Wolff Olins she helped us move into new territory - becoming a learning organisation, for our people and for our clients. A great achievement." Let's have a conversation about your people, culture and learning needs. Get in touch with melissa@qluelearning.com. Sign up to our carefully crafted newsletter. Get instantly useful content to grow your people and clients.